Having opened in 1978, Lighthouse has grown to become a leading performing arts centre. The charity operates a concert hall, theatre and cinema along with corporate function rooms and an ever-changing art gallery. Having quickly established itself as the leading arts venue for Dorset, the space plays host to big names in performing arts including classical music, comedy, theatre and dance productions. The operation of this successful venue relies heavily on the IT and communications facilities to ensure client satisfaction and streamlined operations. Bookings for performances are made online and over the phone, corporate spaces are hired to demanding professionals and client facilities are pushed hard during peak hours. Having secured acknowledgement from the Arts Council that an investment was to be made into the arts centre, Lighthouse went to market to look for best advice on updating the ageing ICT infrastructure. During the initial review process, it became apparent that the voice and data services in place were fast approaching the end of their expected life time and business operations. The management team at the arts centre realised that modern venues are able to utilise technology to enhance the consumers experience and maximise efficiencies within the organisation. The recommendations also included a completely managed service for ongoing support for the modernised infrastructure. During extensive market research, it became clear to Lighthouse that they would value a partnership with a supplier for the entire infrastructure. The broad skillset and understanding of the Taurus team allow the firm to provide complete, integrated solutions. This ensures that clients like Lighthouse can enjoy a single partnership for all strategic consultancy and support. The centre had some ad-hoc access to fairly basic wireless internet access but was aware of the benefits a solid, enterprise wireless solution could bring. Fortinet offered the only solution which can flood the whole venue with fast, reliable wireless network access for the expected density of devices, whilst securely managing device roaming and assured quality of service for different types of usage. Installed and configured by the team of specialists at Taurus, the venue is now able to consider options for appropriate applications and information-gathering from guests. The venue had gone a long time without any investment in the existing server infrastructure. The growing demand on core business applications had stretched the existing solution. Using partnerships with leading vendors, Taurus were able to recommend and implement a resilient, enterprise grade server solution designed to scale to the future demands of the arts centre. The core server environment has been updated and relocated to a resilient virtual server solution using VMWare, Windows Server 2012 R2 and DELL PowerEdge hardware. Using the completely monitored backup & disaster recovery Managed Service from Taurus means that incremental backups are stored both locally on a designated machine and off site at a secure datacentre providing complete piece of mind and speedy recovery when required. The centre previously utilised a public facing DSL internet service. With the growing demand on required internet access and access to hosted applications, it was apparent that the provision provided inadequate reliability and performance for the staff at Lighthouse. Taurus now provide a dedicated fibre leased line to the venue which is supplied with a commercial grade Service Level Agreement (SLA) and backup DSL Service to ensure that the uptime requirements of the organisation are met. The robust internet service routes through Taurus’ MPLS service so that bandwidth can be managed and controlled. Quality of Service on this connection makes the service suitable to route voice traffic across. In order to manage and secure internet access, the work included implementation of an enterprise grade, multi-service, Unified Threat Management (UTM) gateway firewall from SonicWALL. The SonicWALL Appliance is designed to provide the highest level of protection from any online threats whilst giving the organisation applications to control and report on web usage and manage bandwidth usage from the premises. The AVAYA System that Taurus recommended, implemented and now support provides Lighthouse with a reliable, scalable and feature-rich phone system that allows staff to operate as efficiently as possible. The AVAYA system provides a comprehensive set of tools to users throughout the organisation and ensures that calls will continue to be handled quickly and efficiently, even during peak hours. A variety of phone types were implemented including a number of conference phones. AVAYA have been a core partner for Taurus for over 25 years and the experience is demonstrated by the smooth and professional implementation that the theatre experienced. Lighthouse will now enjoy a flexible system for years to come, safe in the knowledge that the Taurus team are on hand to support and maintain the changing requirements. Additionally, to reduce complexity and provide the most cost effective solution for Lighthouse, Taurus also provide the lines and calls to the organisation. The robust leased line service provides the opportunity to consider SIP line provision, further reducing cost by consolidating services. Having completed the project to overhaul the core infrastructure at Lighthouse, Taurus now support and manage the environment under a comprehensive managed service contract. Along with unlimited support, each device on the network is monitored and pro-actively supported by the central Taurus helpdesk and all support overheads are consolidated into a single ongoing agreement providing complete piece of mind to Lighthouse. 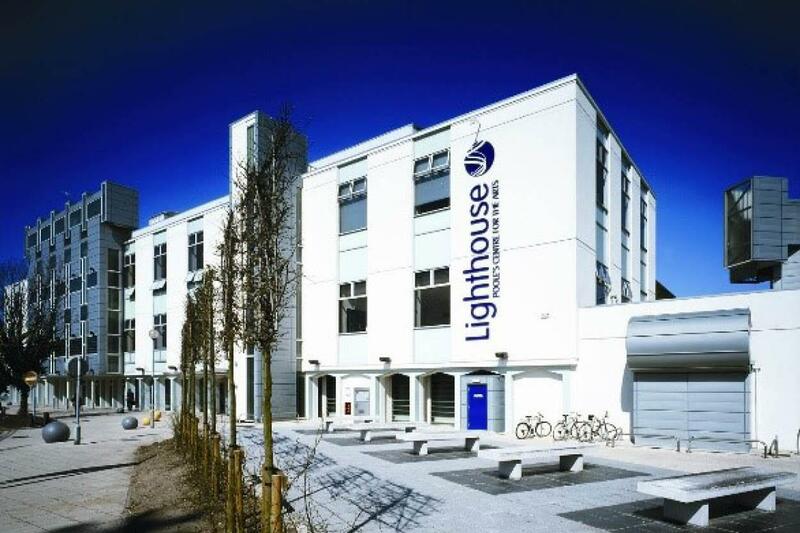 The ongoing relationship with Taurus also gives Lighthouse the benefit of regular strategic consultancy, ensuring that the arts centre can continue to maximise the investment made and continue to optimise business operations.